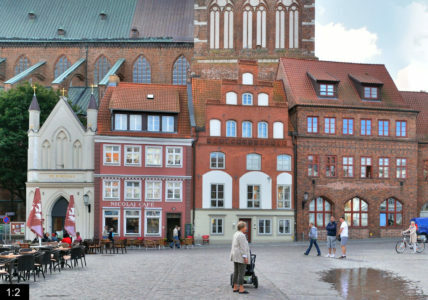 The southern side of the Alter Markt (old market) in Stralsund is dominated by St Nicolai Church and the City Hall (Stralsunder Rathaus). 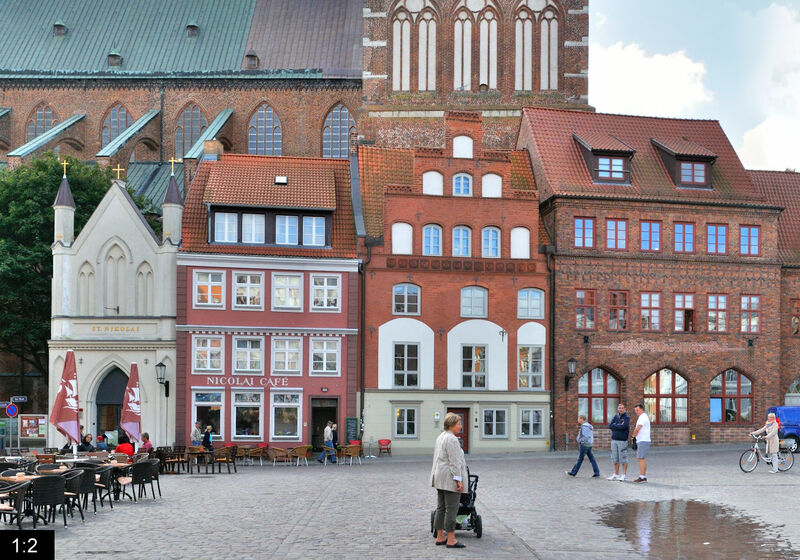 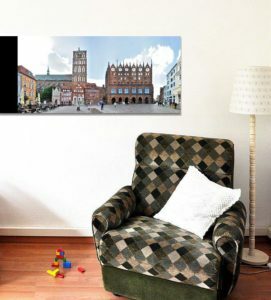 Stralsunds old town has been awarded (together with Wismar) UNESCO world heritage status. 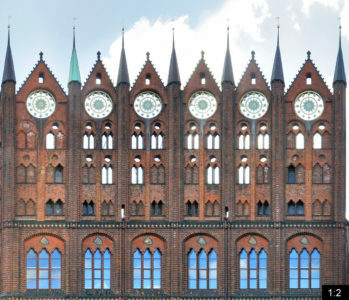 Stralsund is lying at a narrow strait of the baltic sea and is conected to Rügen island via two bridges. 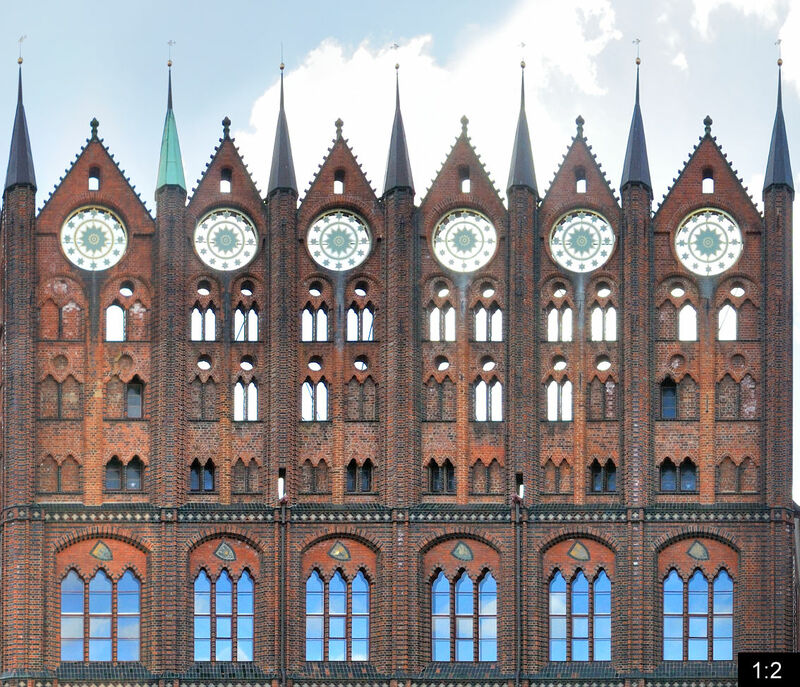 Today Stralsund is the largest city of the german part of Pomerania, in the 13th century it was a founding member od the Hanseatic League.